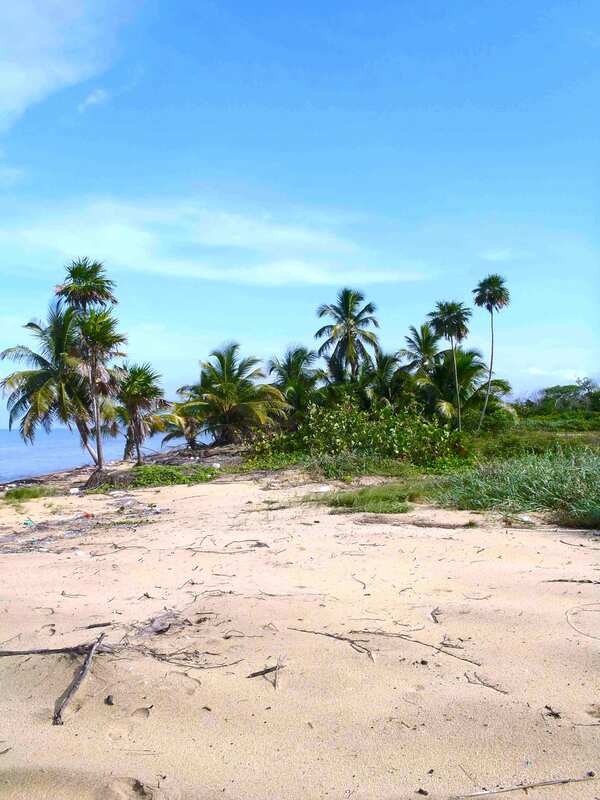 We have a few Prime Caribbean beachfront lots with deeded road access available in Belize’s spectacular Manatee/ Coastal Road area. Pricing begins at $41,500 per acre. 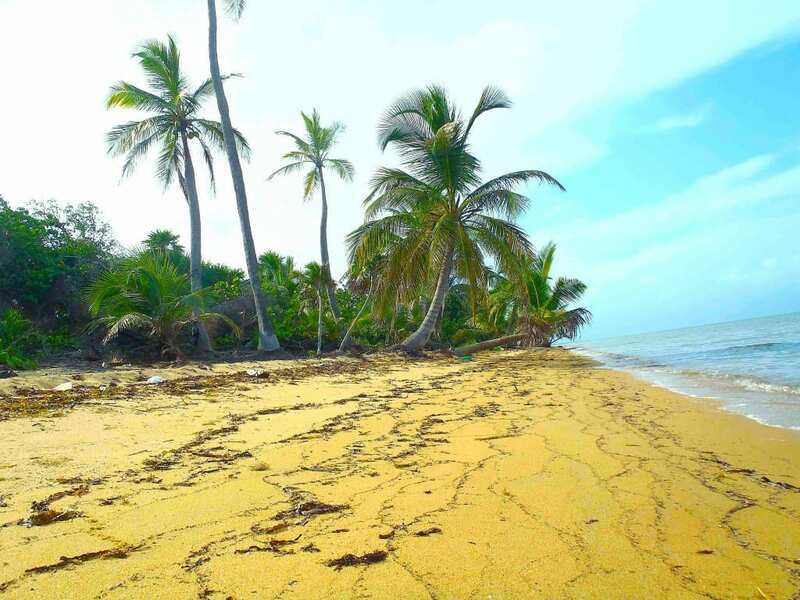 The property boasts wide, elevated sand beaches with mature coconut & hardwood trees. Our lots have prime, high-sand, ocean frontage of 195 ft. and more. 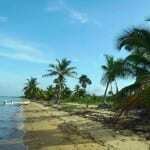 This location is on the mainland with quick & easy access from Belize’s international airport. 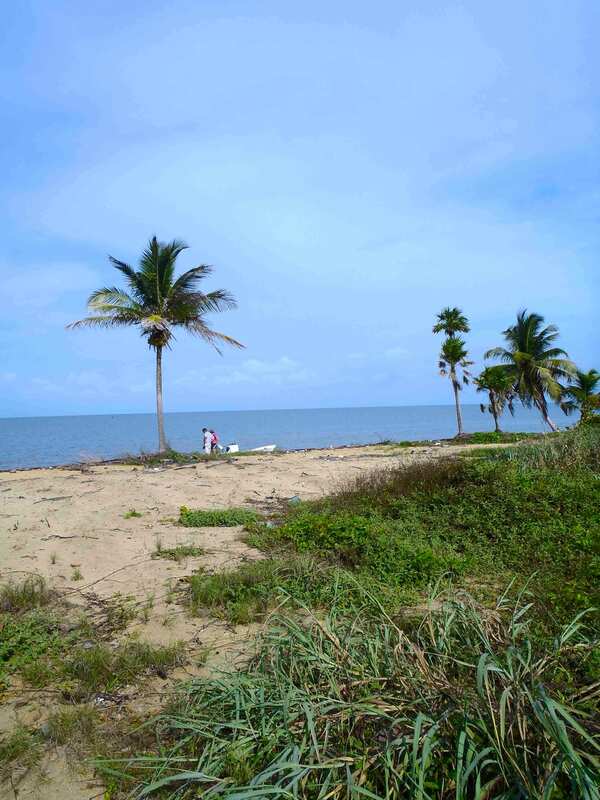 By boat, this property is about 23 miles due south of Belize City and 15 miles north of Dangriga town. They are 2 miles directly east of Gales Point Village. 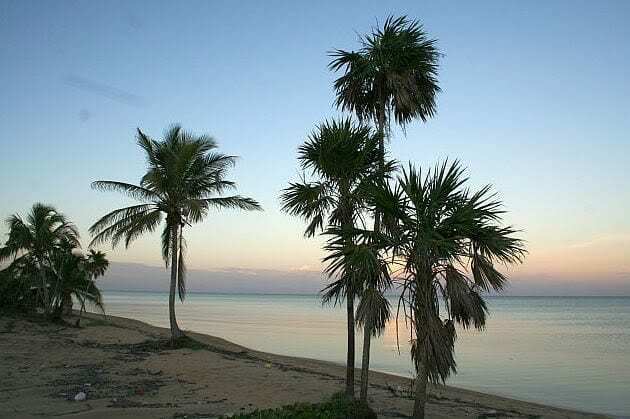 Surrounded by thousands of hectares of wild, national lands, they are accessible via road from Belize’s spectacular Coastal Highway. This coral reef island, Rendezvous Caye, is a few miles offshore. Less than 11 miles directly offshore is the MesoAmerican Barrier Reef. Surrounding this reef are beautiful coral reef islands, with coral structures perfect for snorkeling day trips. 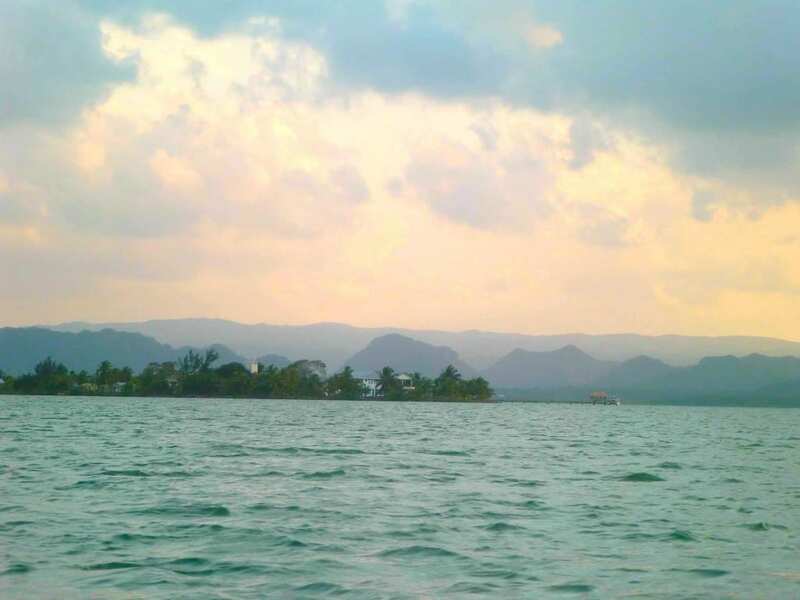 The most famous of these nearby islands is Rendezvous Caye (pictured above), where we often visit for picnics, snorkeling, reef fishing, and beach lounging. 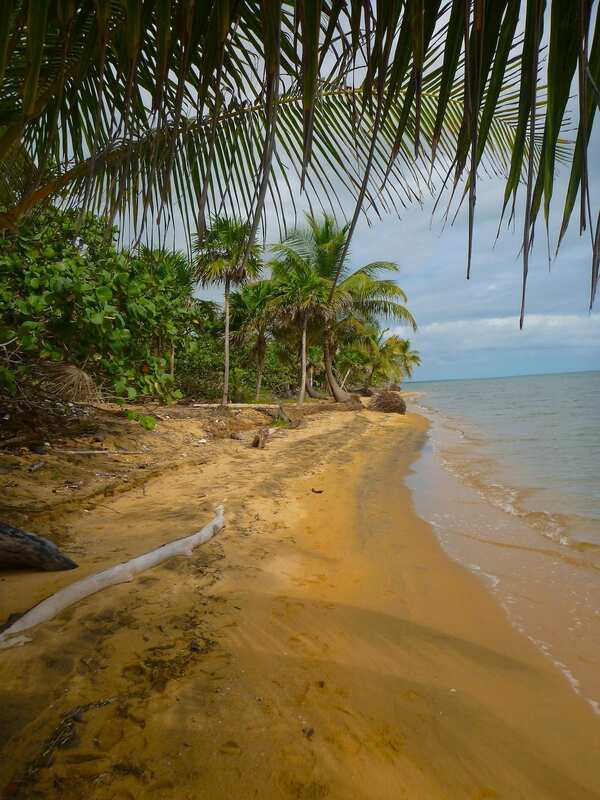 It is very rare to find pristine beach lots of any affordable size – with road access – anywhere in Belize. 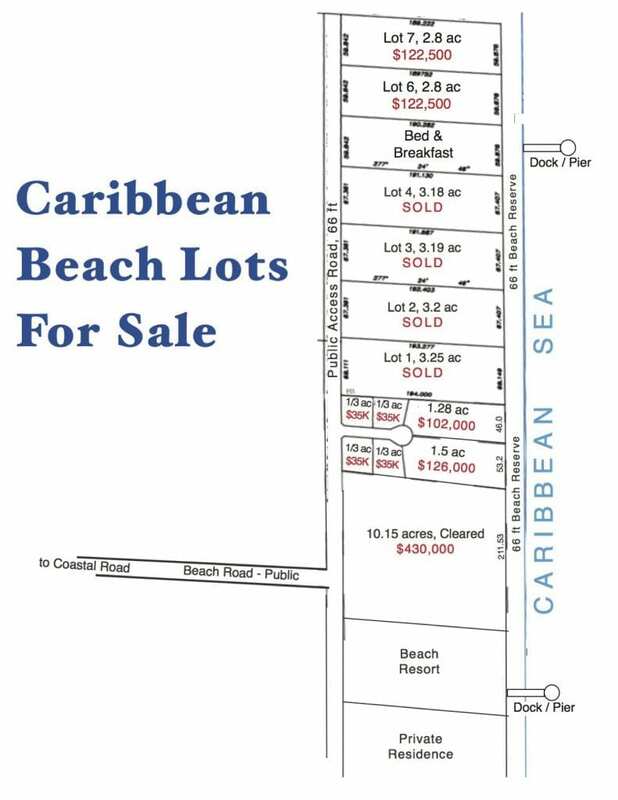 The smaller lots listed below are the ONLY quality ocean beach lots with deeded road access available on Belize’s coast for under $100,000 per acre ~ and they will soon sell. 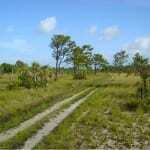 Other smaller coastal lots that you see are water-access only, or made up of mangrove swamp. Quarter-acre lots in crowded Hopkins or Placencia are selling for $250,000 and up. Once these few, spectacular lots are sold, there will be no more available, not even for twice the price! and four 1/3 acre beach-access lots, centered around an established cultural-de-sac. This property is legally subdivided. 1/2 kilometer of landscaped Caribbean beach, 2 secure beach villas, private gated road. This is an classic beach estate, perfect for epic entertaining and Caribbean relaxation. 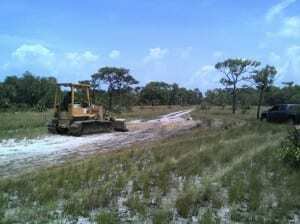 1 kilometer of well-elevated, high-sand, natural beach frontage, with deeded road access, and a 2-acre freshwater pond. This magnificent section extends across the isthmus, east-west from the Caribbean beach to the Southern Lagoon. 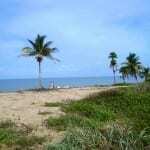 Over 1-1/4 miles of pristine, high-sand, Caribbean beach frontage, with a public road running through it. This magnificent section extends across the isthmus, east-west from the Caribbean beach to the Southern Lagoon. Four Cul-de-Sac Lots of 1/3 acre each (cleared) = $35,000 ea. Our beach is the most important breeding ground for endangered Hawksbill and other turtles in the western Caribbean. It is close to the incredible Southern Lagoon estuary system which flows into the sea, through the nearby Manatee Bar River. 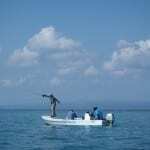 This pristine estuary (an IUCN Category IV Wildlife Sanctuary) actually “feeds” the nearby MesoAmerican Barrier Reef. Nutrients and sediments from the estuary feed the many young coral structures 10 miles offshore. 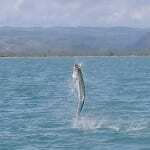 In turn, fish and aquatic life from the reef breed in its rivers, bays and mangrove habitat. Maintaining this pure balance will grow new coral islands and keep Belize’s coral reefs vibrant. This is one of the earth’s last, truly wild places. 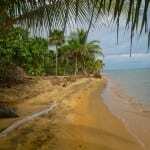 It is not far from Belize’s airport, and can be reached by early afternoon from most American cities. 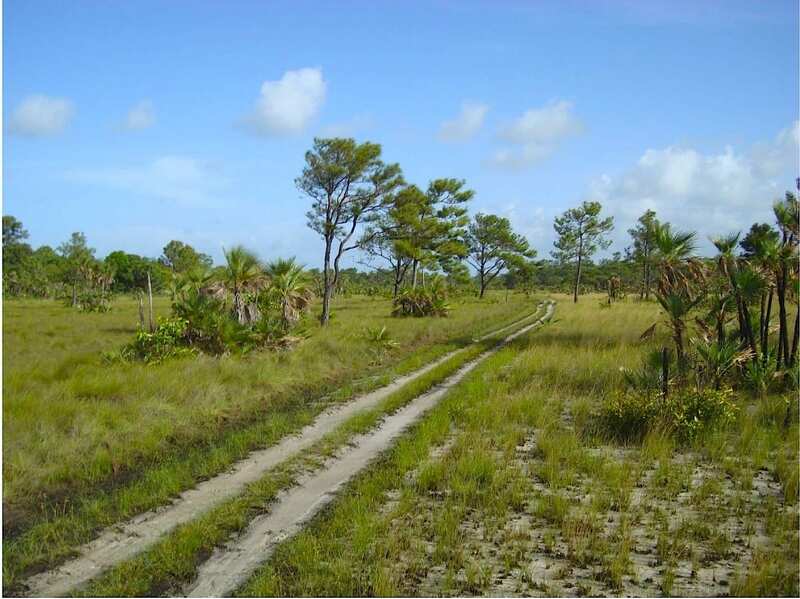 A few miles to our south is a large (22 sq mile) estate, with a citrus plantation, a private airstrip, and thousands of hectares of wild natural lands. 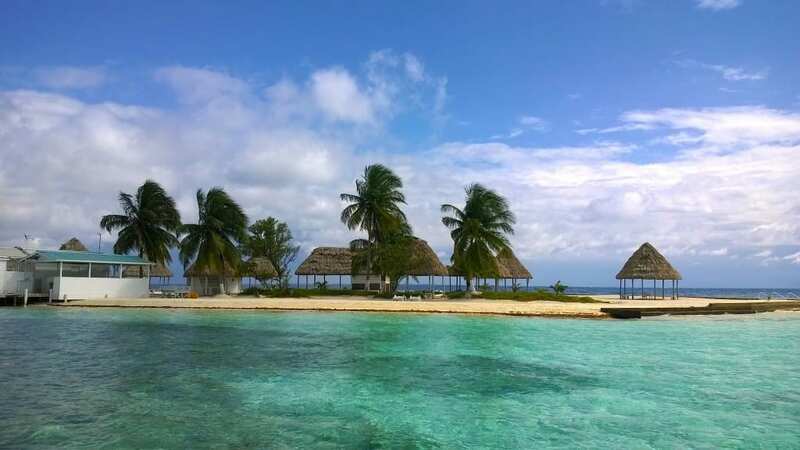 The government of Belize and a group of US-based medical clinical companies are discussing creation of a “medical enterprise zone” here, This would include beach-front and mountain-top “healing centers”, in a luxury eco-resort setting. This will provide employment for local villagers, and the intelligent planning necessary to avoid overcrowding and rampant development as seen in the tourist towns. It will also improve roads and other infrastructure, which in turn benefits our property values. Now we have the start of a comfortable, secure community, on a quiet, sandy, beach road. Our “Beach Road” has been widened and reinforced for all-season use. A beachfront Bed & Breakfast is complete and in operation at the beach community’s north. A half mile to the south a former Christian mission center is now being transformed into an eclectic beach resort and restaurant. Between them are a collection of 10-acre, 3-acre and 14-acre beach lots ~ some are privately owned, others are for sale. A private beach home sits to the south of the old mission center. Further south is 490 acres of wild land, then 948 more acres of wild land. Then comes a 1,750-acre section, with ten, 1-acre beach lots and a private canal to their rear two beach villas on a 1/2 km manicured swimming beach. 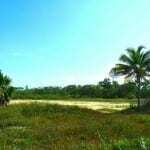 Beyond that is the private airstrip and the proposed enterprise zone ~ amidst miles of pristine beach, vast open savanna and primordial mountain forest. 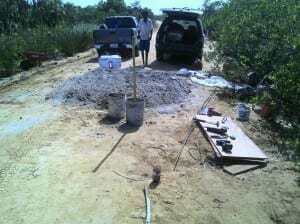 The paving of the Coastal Road is now underway. One major bridge is already finished and the project is scheduled for completion in 2020. This area – the closest destination-resort location to Belize’s international airport – will soon be much easier to reach. 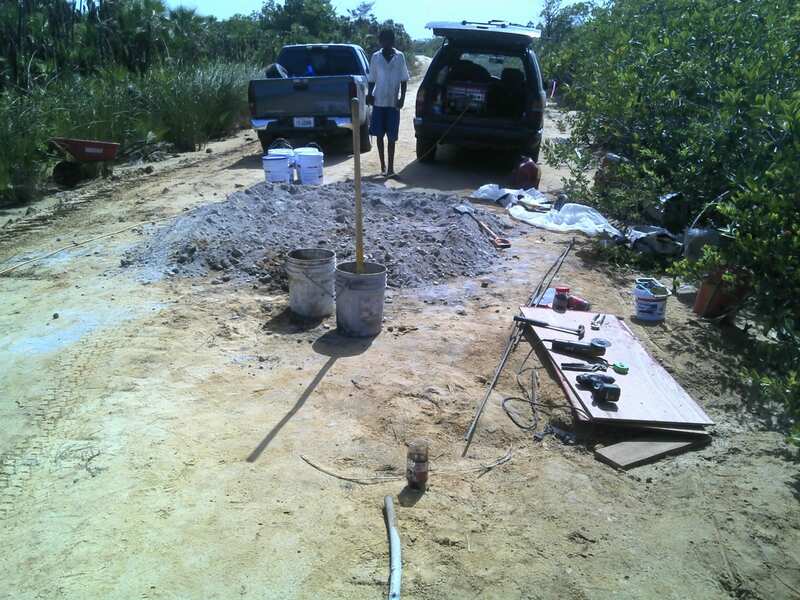 Once this road is paved, property values here will be much higher, and this will be Belize’s new tourist haven. 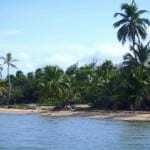 Nearby Gales Point Village is a remote Creole fishing and subsistence-farming village on a narrow peninsula, jutting into the exotically beautiful Southern Lagoon. Directly south of Gales Point peninsula is a smaller peninsula, Hennings Point, with a private compound of 4 waterfront homes with docks, plus several buildable acres, all with stunning views. All have direct Caribbean boat access. Most days it is so quiet here that the only boats I see when I sit on my Hennings Point dock, is a fisherman in a canoe or hand-made sail boat, throwing a net in the early morning. 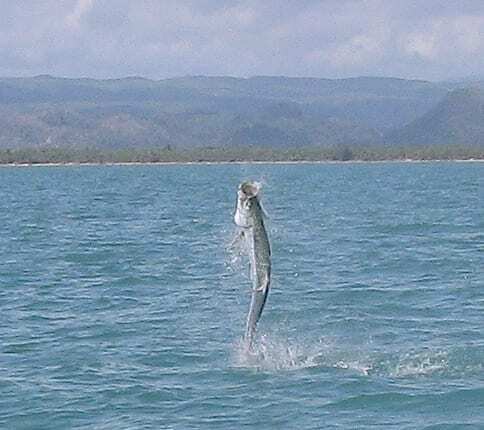 From the the ocean beach, you might see us in a fishing boat a mile offshore, catching the big tarpon. There is sparse population in this pristine region. You will find wildlife, aquatic life and plant life in wild natural abundance. Within the Gales Point Wildlife Sanctuary (an IUCN designated Category IV Wildlife Sanctuary), this beach is one of the Caribbean’s most important nesting grounds for Hawksbill turtles. The immediate area, including the seaside lagoons nearby, is home to the largest population of West Indian Manatee in North or Central American or the Caribbean basin. Healthy populations of jaguar, ocelot, parrots, monkeys and other rare and exotic species abound in the surrounding forests and savannas. 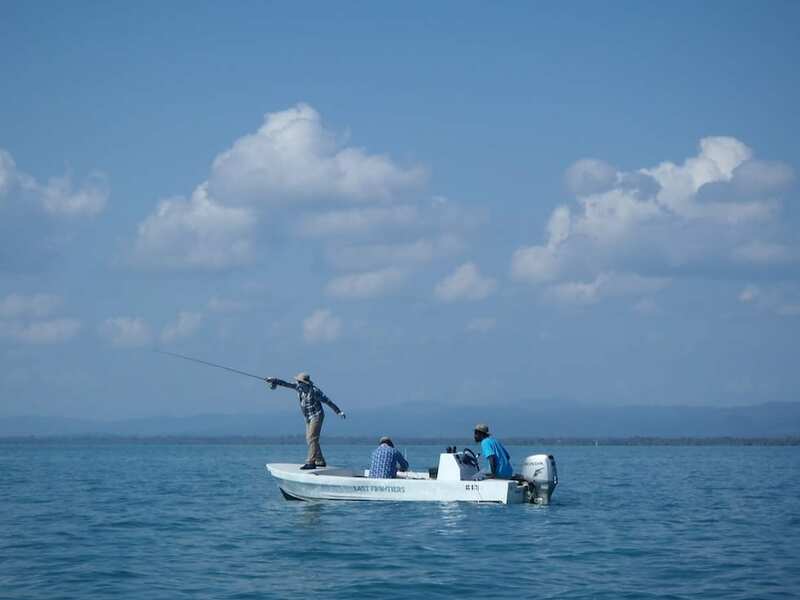 The sport fishing here is some of the best in the world, featuring tarpon, jack, barracuda, grouper, permit and many other species. The famous MesoAmerican Barrier Reef begins about 9 miles offshore, well known for outstanding reef fishing and some of the world’s best snorkeling & reef diving! 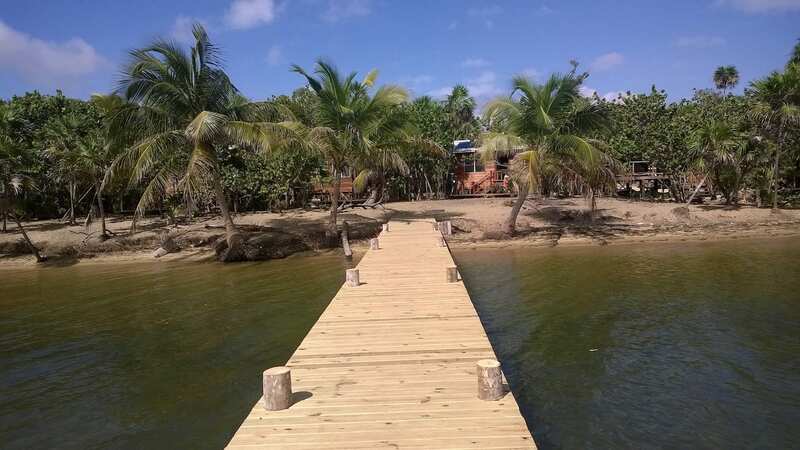 With natural, high-sand private beaches amidst mature coconut palms and hardwood trees, these properties have excellent, well-elevated, building sites. The Coastal Highway serving it today is an all-weather gravel road. 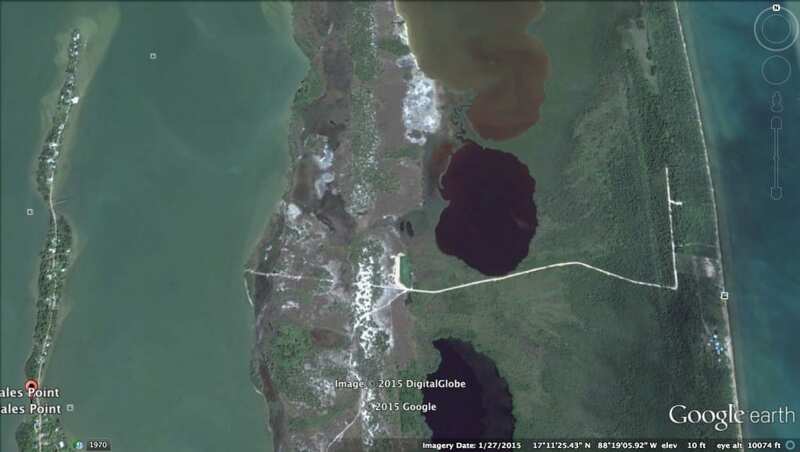 However on 9/21/16 Belize’s Prime Minister officially announced an ambitious project financed by the U.K. to pave and realign this road with new bridges, to be complete in 2020. One bridge us already complete. Soon this strategic road and vital shortcut to the southern half of the country will attract more traffic. Property values will appreciate and development is coming. By using thoughtful, low-density planning & sustainable building practices, this area is now becoming an in-demand resort, safe-haven, and private retreat area. 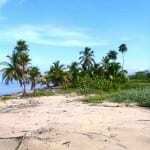 Right now it is investment-grade, ocean-front land with huge potential. 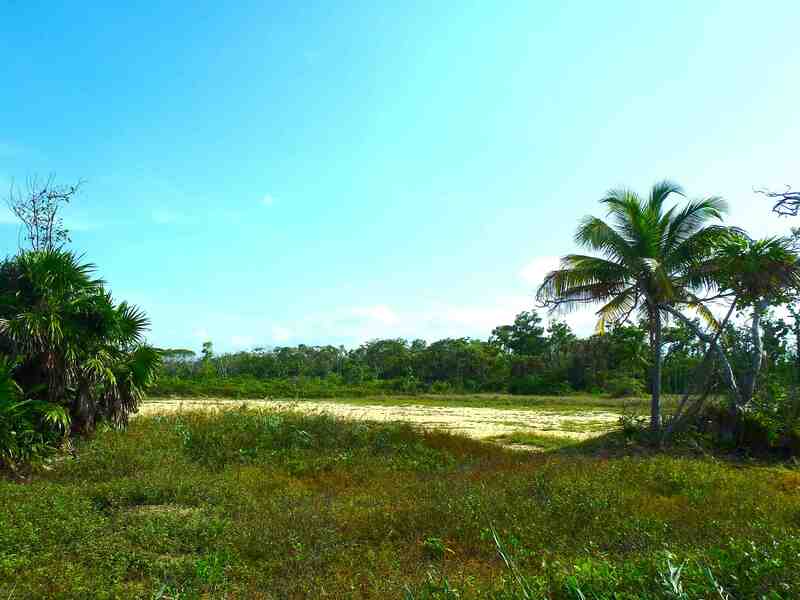 Ocean-Front Lots starting at $41,500 per acre. Significant (400+ acres) Ocean Beach Acreage at $8,000 per acre. 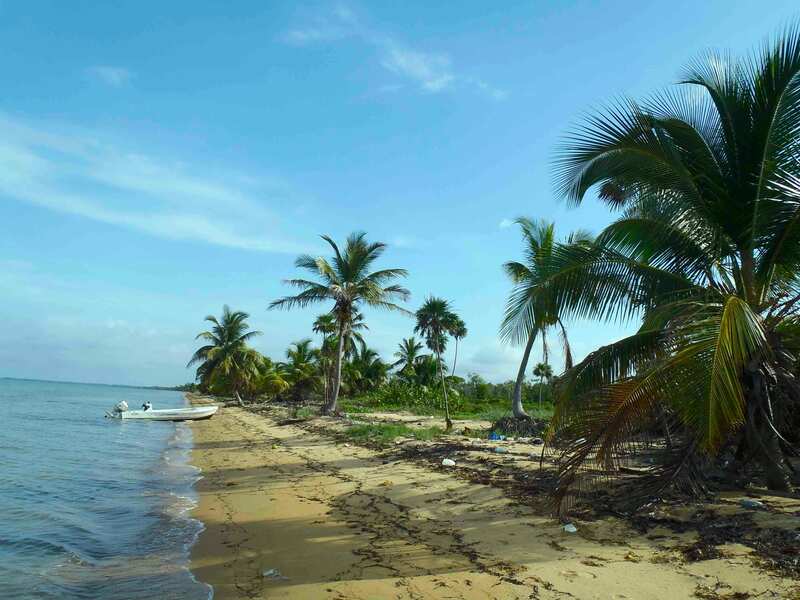 Foreigners can hold title to land here in Belize, unlike many other Caribbean and Central American nations. The taxes, monetary system and business climate in Belize are favourable. Titles for these properties are capable of warranty by the major title guarantee companies. This is investment-grade property. Once these few lots are sold, they’re gone. between Belize City and Punta Gorda. 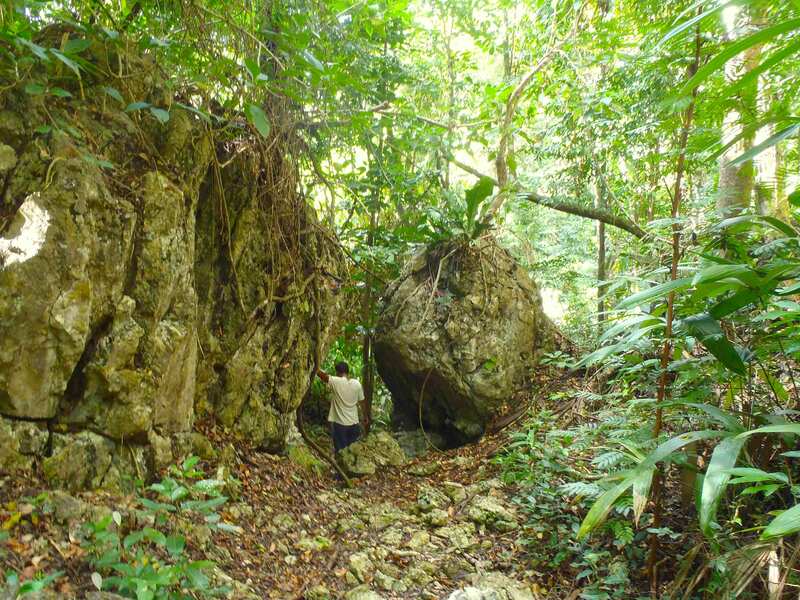 This uncrowded part of Belize is where the majestic Maya Mountains come closest to the sea. It has fresh Caribbean breezes, plenty of sunshine, and ample rainwater & freshwater. Create your own private, beach-front hide-a-way, secure in this Caribbean safe haven. Click on a photo for a larger, detailed view of the image. Contact us for a site plan, maps, building costs, details, and GPS coordinates.